This green bookshelf has been awesome. Unfortunately, with our little home, we now need the space for Garrett's toys- so it has to find another home. I purchased this (that's a lie..my mom did) from Boston Baby, in Natick Massachusetts. 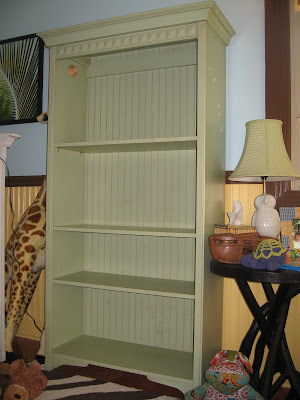 It is an antiqued green, with three shelves (one of which I stored while I used the large dowel to hang Garrett's clothes). It is in perfect shape. If you need a bookcase, or an open dresser, you will love this. Make me an offer. If it doesn't go by the end of January, it goes to The Road Home Shelter, for someone there to love it. The stuff on the side is tape, that comes off. 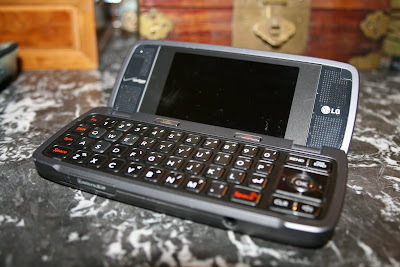 This is a fancy shmancy phone/camera called the LG Voyager. It is too high tech for me. Seriously. It's been used for about a week, and is in good shape. It is a touchscreen with lots of bells and whistles. 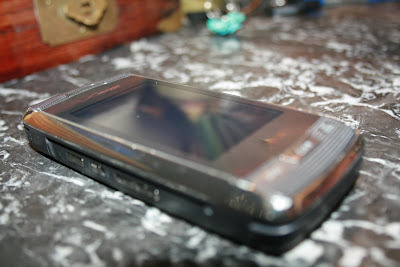 I am asking for $50..otherwise it will be Dalton's first cell phone.